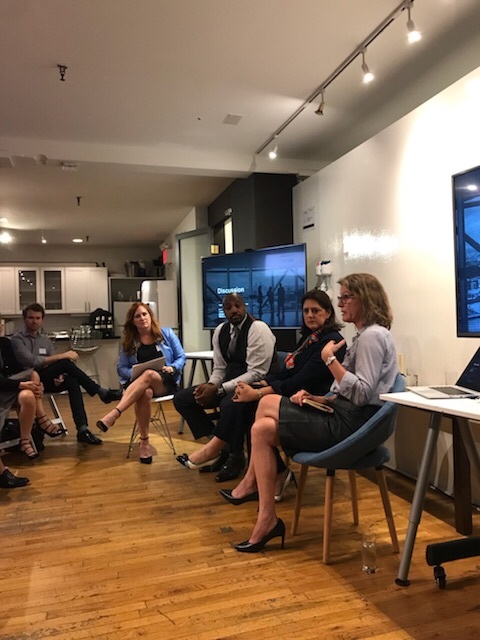 SVP Heather Dolan Co-Hosts NYC Event on Trust & Culture | Challenger, Gray & Christmas, Inc.
Heather Dolan, SVP out of our NY office, had the pleasure of co-hosting “Trust: The Foundation of Sustainable Culture” in a contemporary loft space in Soho. 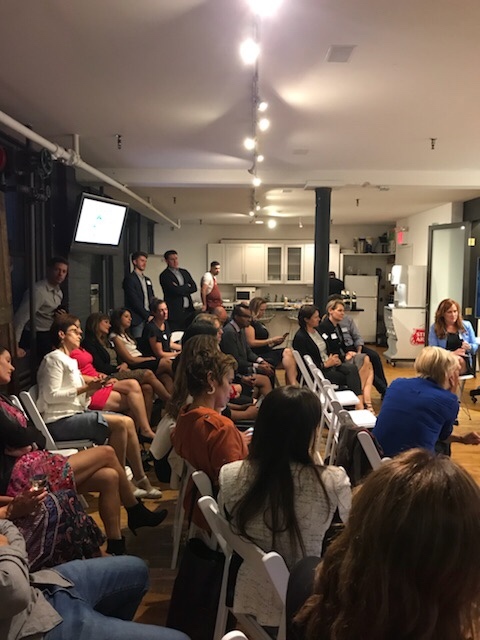 She, along with Eden Health, Trion & Balance Integration brought together a group of executive thought-leaders and intelligent agitators for a networking happy hour and panel discussion. Matt McCambridge, CEO/Co-founder of Eden Health kicked off the evening discussing how the fundamentals of trust inspired him to create Eden Health. Next, the group looked at Edelman’s Trust Barometer results for 2018 as a starting point of a more in-depth discussion. Tonia Reyes presented Edelman’s findings which she has the privilege of sharing each year at Davos. The panelists, NBA CHRO Eric Hutcherson and Pearson Education SVP of Diversity & Inclusion Jyoti Chopra, discussed trust as a foundational employee experience, best practices to push your culture forward in the face of hard-bound, retrograde practices, and how to redefine the relationship between employer and employee. Tevis Trower, CEO/Founder of Balance Integration masterfully facilitated the hour long discussion.